My previous post ended with reference to a moral compass. I truly wanted to write about this during December but I never got around to it. I could give you a soppy story about how the last days at work were really busy and when I went on holiday my focus was on relaxing and that writing the post seemed less important. The reality however is that I was not acting in alignment or as some might say attunement. What does that mean? 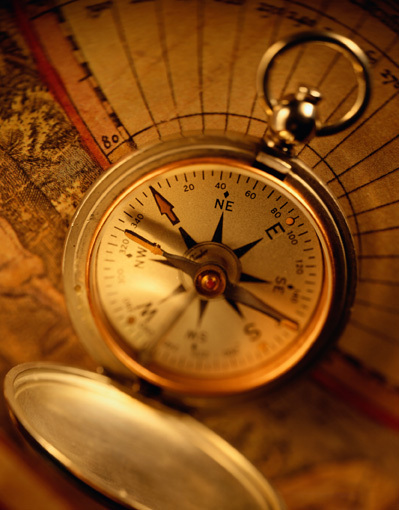 Simple; moral compass refers to your core principles, values and beliefs. From there they should lead to some formal or informal goal setting. Finally goals should lead to behaviour which consists of thoughts actions and emotions. If you therefore live in such a way that your goals reflect your moral compass and your behaviour reflects your goals you are living in alignment (some use the term alignment for the same kind of process in relation to systems and processes and attunement for the internal personal process). Here lies my problem. I resolved in my goal setting to write a post once a month and then did not do this at the end of 2010 – I was not acting out of alignment; I was in fact out of alignment. This experience in combination with other experiences (such as observation about my relationship with colleagues and family) have been valuable as reflective information. This information I could also only really process during vacation time because it was in fact one of my objectives for the festive season – perspective! From here I had really good conversations with my parents and my wife over a period of two weeks which have empowered me in a surprising manner for 2011. Although the adjustments are small habitual things it is about getting back into alignment and using my strength (discipline) to catalyse greater release in the rest of my life.